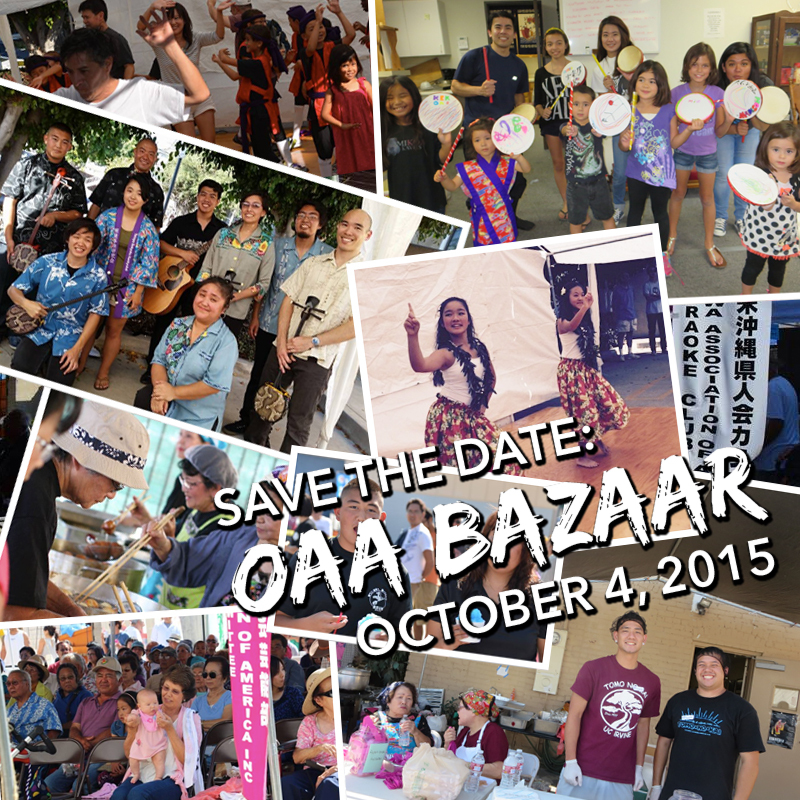 On Sunday, Oct. 4, the Okinawa Association of America (OAA) invites you to their Annual Bazaar in Gardena. 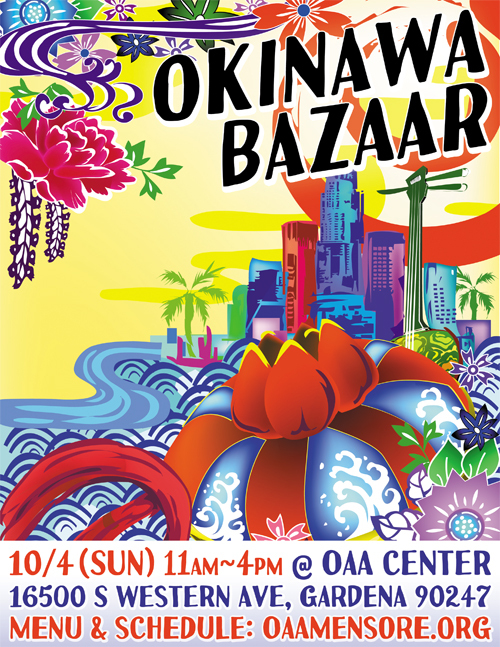 This is the only annual festival in L.A. that celebrates Okinawan culture, bringing the community together for an afternoon of delicious food, soulful entertainment, games, and raffle prizes! 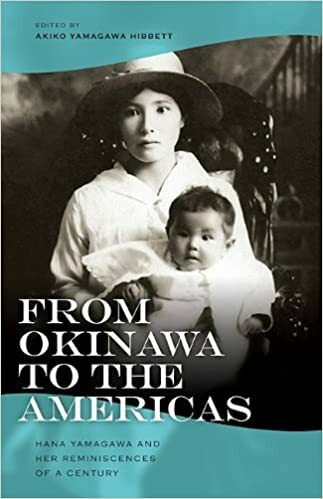 The OAA, a cultural non-profit organization formed by Okinawan immigrants 100+ years ago, also uses this event as their annual fundraiser. 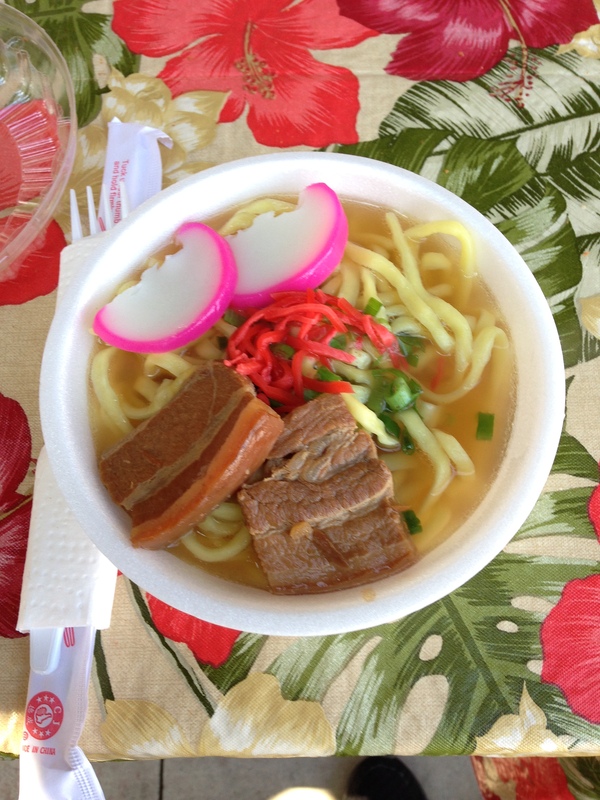 Food booths will include tasty favorites like sātā andāgī (“Okinawan dango”), Okinawa soba, teriyaki combo plates, and spam musubi. Want to try something new? We will have limited specials: ashitibichi (pig’s feet), rafute(braised pork belly) sliders and donburi, beni-imo (Okinawan purple potato) ice cream, and taco rice (literally taco ingredients over rice; a popular fusion dish in Okinawa)! 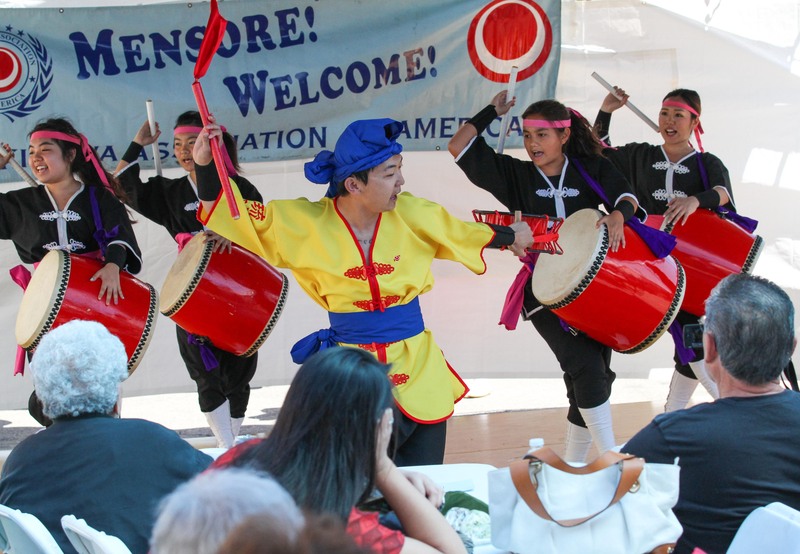 Take your food to-go or stay and enjoy our all-day entertainment program which will include Okinawan and Hawai‘ian music/dance, karate demonstrations, and contemporary performances. Guest performers include the El Marino Language School’s 4th grade eisaa (Okinawan drum-dancing) group and members from The Grateful Crane Ensemble! 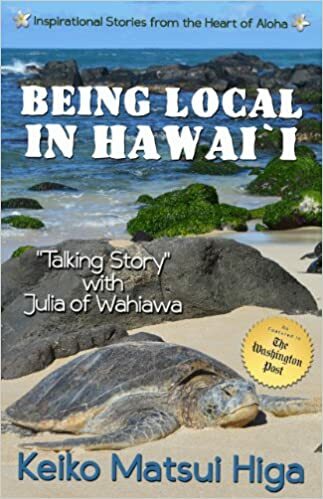 Raffle tickets are only $1 with great prizes: $300 grand prize, $200 Amazon gift card, gift basket from Jake Shimabukuro, plus more! Starting your holiday shopping early? 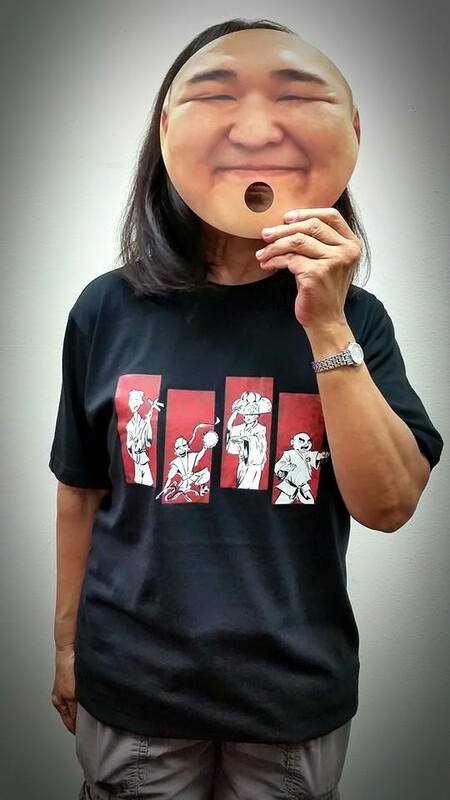 We will have a limited supply of merchandise from Okinawa (books, CDs, postcards, souvenirs, stickers) plus OAA’s original t-shirts, mugs, stickers, and tote bags. 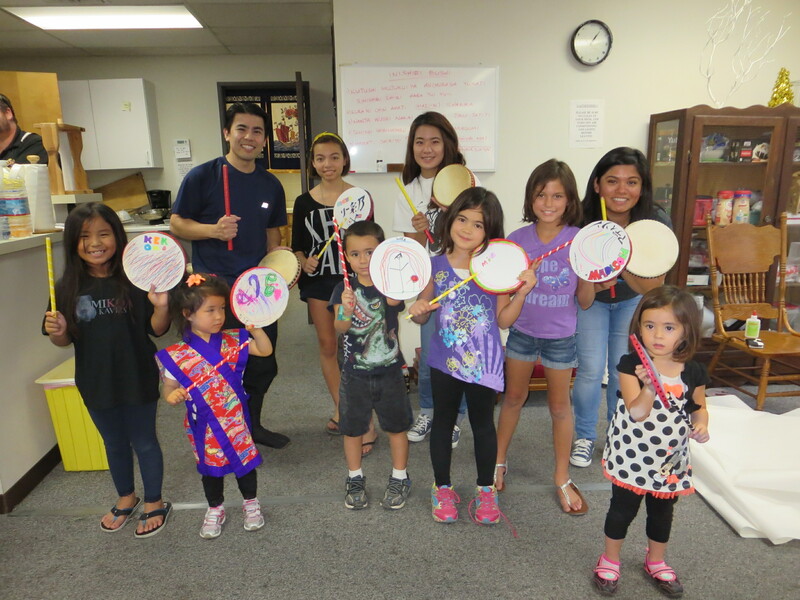 Kids activities include carnival games, drawing/coloring, crafts, and our Warabi Eisaa Workshop, where they can make their own Okinawan hand drum (paranku)! Please join us on Oct. 4, 11AM – 4PM, at the OAA Center, 16500 S. Western Ave., Gardena 90247. Parking available in nearby residential areas. Early arrival recommended (popular food/merchandise items sell out quickly). More information, donate, volunteer sign-up: 310-532-1929, oaamensore@gmail.com. Special guest performer from Okinawa! Okinawan festival drum-dancing (inspired by eisaa); celebrating their 20th anniversary! Raffle tickets are only $1 each! Attendance is not required to win prizes. Winners will be informed by phone or email after the bazaar. Please download the raffle pre-order form (PDF) and raffle tickets sheet (PDF) or contact the OAA at oaamensore@gmail.com or 310-532-1929. The postmark deadline for raffle ticket pre-orders is September 28th. 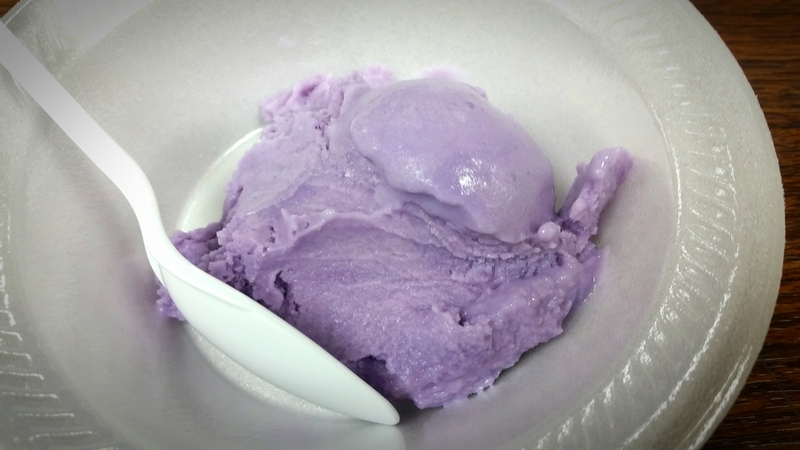 A limited supply of Beni-Imo (Okinawan purple potato) Ice Cream (made by MensoreGirl.com) will be available at this year’s Bazaar! Download the scrips pre-order form or contact the OAA at oaamensore@gmail.com or 310-532-1929. The postmark deadline for scrip pre-orders is September 28th. 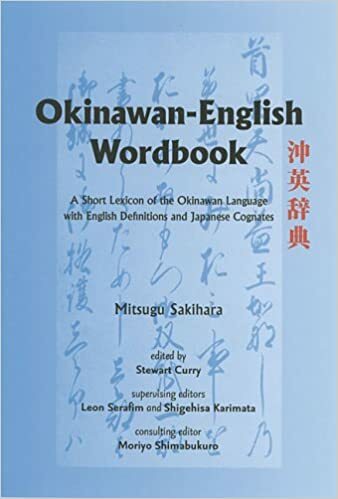 A collection of English essays about Okinawan culture and immigrants. 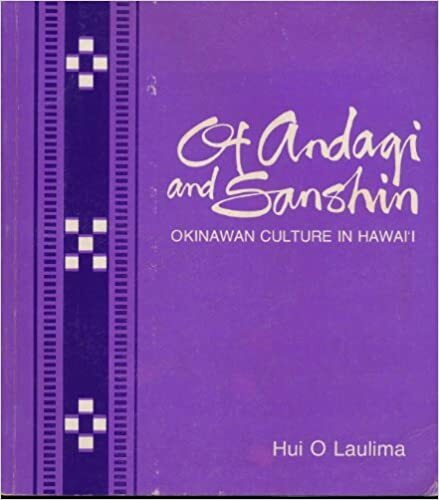 Including: Andaagii, Ryukyu Dialect, Bon Dance, Ritual Foods, Folk Pottery of Okinawa, A Look at Okinawan Women, Jikoen Hongwanji Temple, Terms in Okinawan Cooking, Sanshin, plus more! Learn the Okinawan language with these fun magnets (includes 55 words with their English translations)! *NEW* Limited edition OAA mug (11oz ceramic) featuring original artwork by one of our 2015 kids art contest winners, Melissa Tran! 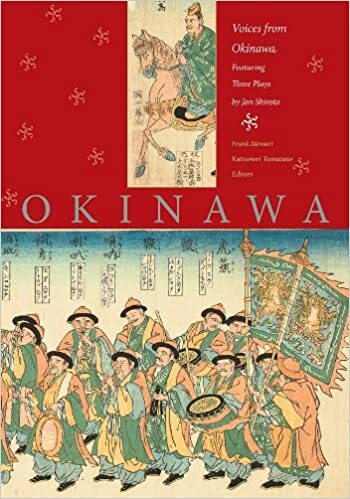 Make your own Okinawan hand drum (paranku)! OAA events like the Bazaar would not be possible without dedicated volunteers! If you’re interested in volunteering, please contact the OAA at 310-532-1929 or oaavolunteers@gmail.com to sign up. Setting up tents, tables, chairs, food preparation*, etc. Lunch will be provided for Saturday volunteers! Volunteers who work 4+ hours on Sunday will receive an exclusive OAA mug designed by artist Richard Yamashiro (who also designed our recent Picnic and Bazaar flyers)! To claim this gift, sign in / sign out is required. Snacks and water will be provided for all volunteers. * Orientation at the OAA Center required for volunteers handling food. Orientation Dates: September 13 (5PM) or September 27 (10AM). As a benefit of OAA membership, we mail out special members-only coupons and order forms with up to $15 in savings at our Annual Bazaar! Download our membership form (PDF) and become a member today! This entry was posted in Bazaar, Events, Karate, Kenjinkai, Members, Performances, Ryukyukoku Matsuri Daiko, Traditional Dance, Traditional Music and tagged andagi, asian american, buyo, california, choichi kai, choichi terukina, community, cultural, culture, dance, drum, eisa, eisaa, el marino language school, entertainment, events, family, festival, folk music, friends, games, gardena, geino-bu, geinobu, gift cards, grateful crane ensemble, hula, Karate, koto, koyokai, kozue taira, live music, los angeles, martial arts, minyo, okinawa, okinawan, raffle prizes, ryukyu, ryukyuan, ryukyukoku matsuri daiko, sanshin, shishimai, shugyokan dojo, south bay, taiko, tamagusuku ryu kansen kai, torrance, traditional, uchinaa, uchinaanchu, uchinanchu, ukulele. Bookmark the permalink.